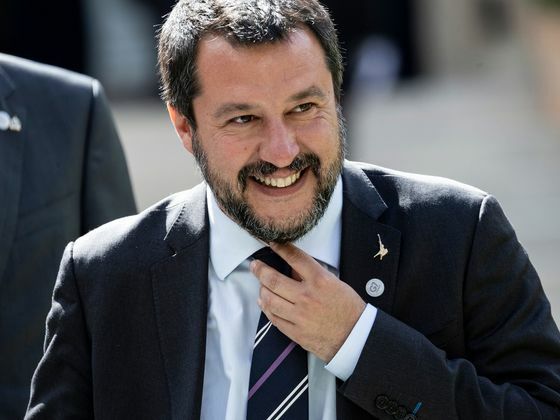 Matteo Salvini has become the dominant force in Italian politics — and is increasingly playing a role on the European stage – even as he shares power at home. But he’s not yet ready to ditch his troublesome populist ally. The leader of the anti-migrant League is under pressure from his lieutenants to force an early election and seek to govern in his own right. While he has a spontaneous, homespun persona on the campaign trail, cheerfully posing for selfies, in private those close to him say he is cautious and strategic. He’s playing the long game, they say. Senior government officials and party operatives spoke to Bloomberg about the strategy of the man known as “The Captain.” The League’s poll ratings have surged, and he can blame fellow deputy premier Luigi di Maio from the Five Star Movement for most things that go wrong. Salvini also needs time to set up a new center-right bloc without ex-premier Silvio Berlusconi, who’s too much of an establishment figure. Events may test Salvini’s patience, including May’s European Parliament elections, and tensions within the coalition ahead of budget talks as the economy stagnates. For now, he’s telling his advisers to hold tight — the League must not act like supermen. 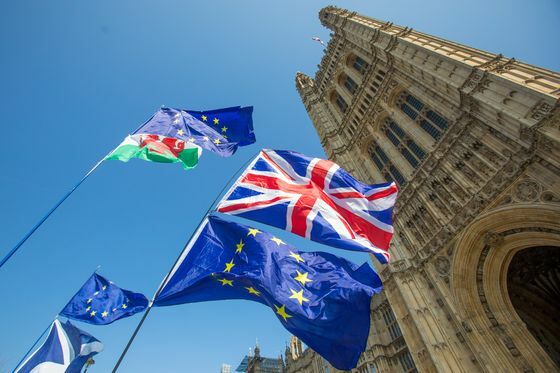 Short reprieve | As a Brexit deal with her parliament remains elusive, Theresa May has written to the European Union to seek a delay in the U.K.’s exit — to June 30. The prime minister is desperately trying to avoid the U.K. taking part in next month’s European Parliament elections — it’d be a politically toxic outcome for her party given it pledged to be well gone of the EU by then. The EU's position is that any extension should be for longer, perhaps even a year, to allow May time to find a way out of the impasse at home. Still waiting | Donald Trump says any deal to end his year-long trade war with China is probably still weeks away, even though both sides are claiming progress after talks in Washington yesterday. The U.S. President is promising a “monumental” agreement, while China’s top negotiator has touted a “new consensus” on the text. Still, World Trade Organization chief Roberto Azevedo warned in an interview that a deal could prompt challenges from other members if they feel it unfairly hurts them. Taxing search | Even if House Democrats get their hands on Trump’s tax returns, many of their biggest questions about his finances will probably go unanswered. The documents won’t provide a definitive picture of the president’s wealth, whether he’s played by the rules or benefited personally from the tax overhaul he signed in 2017, Laura Davison reports. Seeking punishment | U.S. immigration and civil rights groups are urging companies not to hire senior administration officials involved in planning, carrying out or defending the separation of migrant children from their parents. The letter will be sent to the chief executives of all Fortune 500 firms, Jennifer Epstein reports. Urban disenchantment | Indonesian President Joko Widodo, who’s facing disillusionment among urban voters frustrated with stagnant economic growth and a lack of high-paying jobs, is counting on rural support to boost his chances in an election on April 17. As Arys Aditya and Viriya Singgih report, he's spent billions to help the poor and reform land laws, while rival Prabowo Subianto has vowed to tackle economic inequality in the world’s fourth-most populous country. The FBI has zeroed in on a confiscated thumb drive in its investigation into whether a Chinese woman arrested at Trump’s Mar-a-Lago club in Florida had links to Chinese intelligence or military services. Ecuador plans to expel WikiLeaks founder Julian Assange from its London embassy and has an agreement in place with the U.K. for his arrest, Wikileaks said. The Associated Press cited a senior Ecuadorian official as saying no decision had been taken yet.